January is the time of year when most people decide it’s time to get fit and healthy. You can’t blame them after all the indulgence at Christmas and what better New Years Resolution to have than to get into shape? This is definitely something I’m keen to do, not because I ate a lot over Christmas in fact due to being poorly I barely ate anything but as I’m getting married in September I’m keen to tone up, and lost a little weight but most importantly get healthy. This is easier said than done though as I have a high pressure job which involves working long hours which vary day to day. I can’t really plan ahead when I can fit in exercise, it really comes down to what is happening on the day which obviously makes things a bit harder. I find things so much easier to stick to when you can get into a routine. This is why I’m trying to introduce things into my routine that I can realistically stick to. One of these is walking more. Instead of buying a gym membership (which is so tempting because I love going to the gym) I’m going to try walking more and jogging. This way if I can’t do it as many times a week as I’d like I haven’t lost any money but at the same time I’m also doing something to help me get fit and healthy. This is where today’s product becomes important because if I’m honest I find that kind of exercise boring. I’d much rather be down the gym for an hour or so, so I need something to keep me motivated to push myself and I think the *Ozeri pedometer really helps with this. 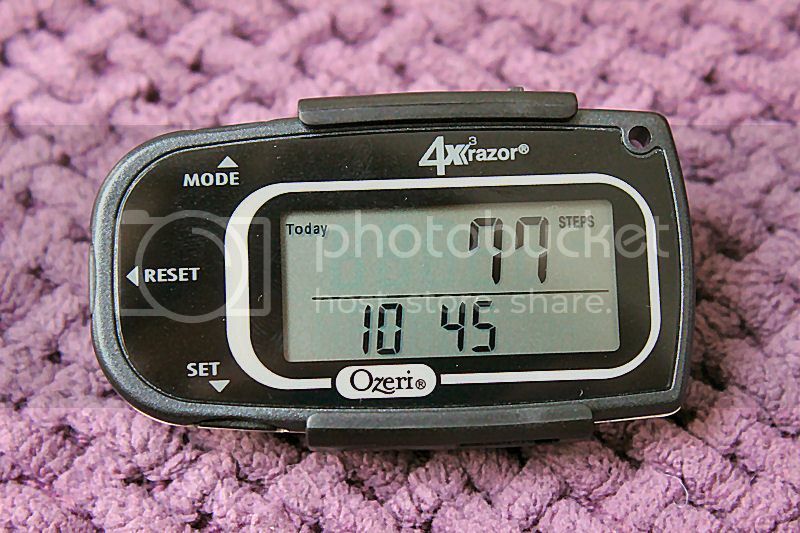 The Ozeri Pedometer is very light-weight and compact so I don’t even realise I’m wearing it. Plus as well as simply recording the number of steps I take per day, it keeps these for 7 days so I can compare how I have done and it also informs me of the distance and calories burnt too. This really motivates me because each day/week I want to do more than the last. What are you doing to get fit and healthy? Pedometer is a good thing for motivation for physical activity. I use some on the phone, but I'm looking for more accurate and reliable product, which in itself has a counter burned calories, and this pedometer looks like a good product.